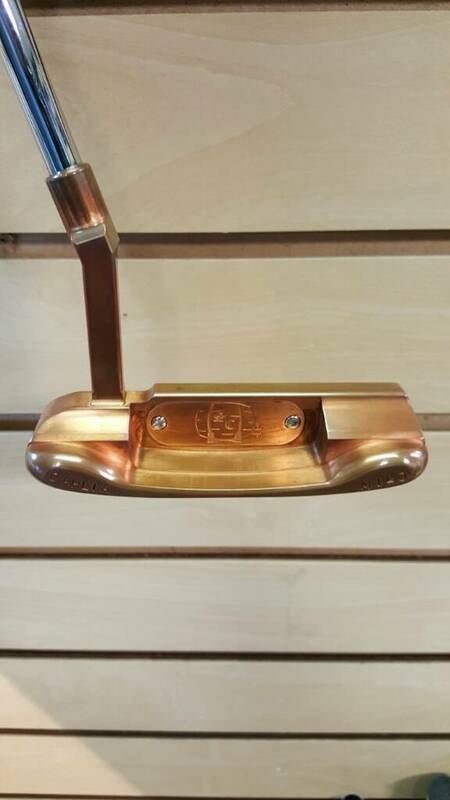 Pics of a few putters Byron Morgan made for me. I tried zooming in on the first Byron. Does it have 5__G stamped on it? I remember seeing some of your putters in the past, and they were very heavy. If it does say 5__G is that just the head weight, or total over all weight (or it could something completely different all together lol). Also are you still using the Recoils? 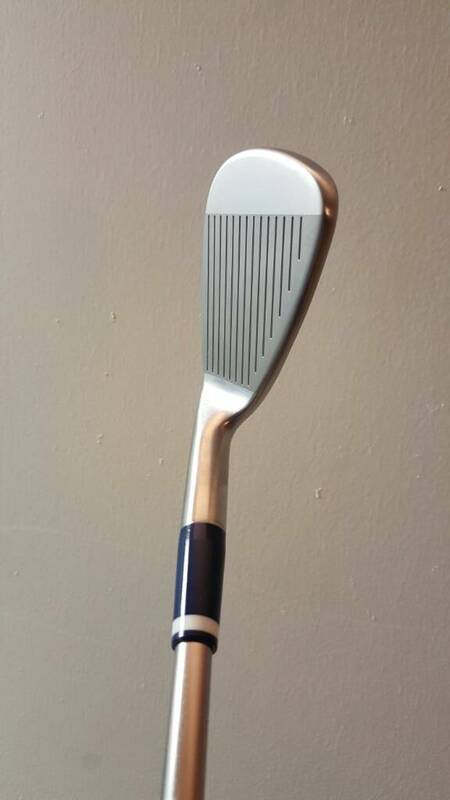 Personally I never thought I'd play a graphite iron shaft, but loving the Steelfiber i95 (possibly when I got older, but never in my mid 30's, 50-60's maybe). Not sure, thought you may have played Steelfibers awhile back. That Byron is 395g head. That's what's stamped on it. I'll post some more putter pics when I get home from Orlando. Should get my M10 back from fixing the counterbalance weight. I am not using the Recoils anymore. I have played Steelfibers most over the years and they are fantastic shafts. I like them better for my game then the Recoils. I am playing w Scandium prototypes right now but plan to try the Accra i110 Pro shafts in my irons. The M10 has a great look to it. When you say "fixing" the counterbalance are you trying to make it counterbalanced or get rid of its counterbalance? I remember reading about the Scadium shafts, but it's really just the name I remember. I'll have to search around about the Scandium and Accra i110's and see what their all about (I love my Steelfibers but I like nerd'ing out on equipment I really know nothing about). I'm 34 and have playing since the late 80's and never, ever thought I'd play graphite/carbon fiber iron shafts. If I did, it'd be when I was much older like in my 60's. But now it seems people are giving up the notion that graphite shafts are just some ****, super light weight, noodle feeling "made for" shaft for seniors and ladies. 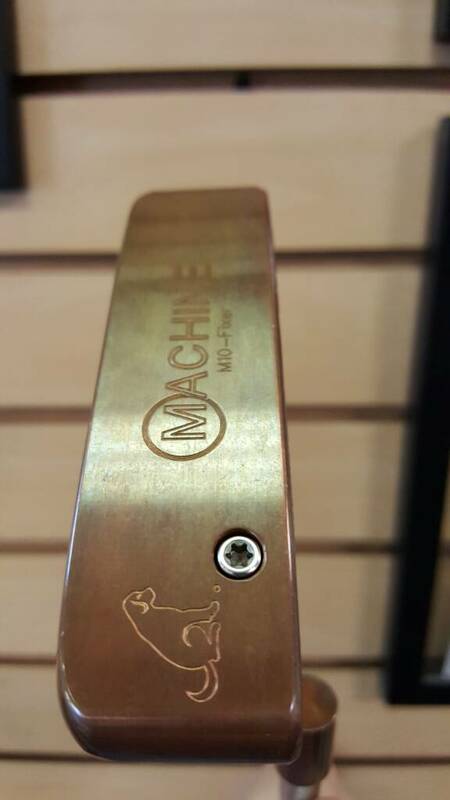 Looking forward to more putter pics when you get chance to post them. The counterbalance I had in it came loose so I needed to pull the grip and redo it. The Scandium are great shafts. There's a guy in Toledo who still makes them. He has the flexibility to basically make a shaft with whatever playing characteristics he wants and they dampen vibrations better than graphite. From the little I've read so far on Scandium is the material used in making the shafts. I always assumed Scandium was the name of the shaft. Like MRc with its Diamana series. Also the little bit I've read it seems Scandium is giving better dispersion, as well as a bit of distance gain too. Scandium is a metal. It's element 21 on the periodic table. 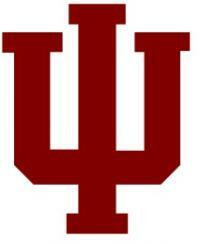 I think it's a great product that has been terribly mismanaged since the beginning. Hopefully the new guy in Toledo (his name is Jeff Manore) can get it on the market. It was first introduced about 10 years ago and they got some good run on Tour. Vijay won at least one major with it. Problem was (probably why Vijay liked it so much) it was really stiff. The manufacturer was trying to frequency it like a steel shaft. Issue being is it has almost literally zero torque so it plays much stiffer than the frequency suggests. 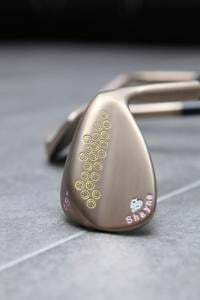 As a result it needed it's own frequency numbers and chart different from normal steel or graphite shafts. Kind of the opposite of hickory which has a ton of torque play much weaker than its frequency. 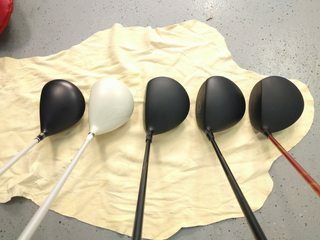 A hickory made to play to a weaker A or L flex will still frequency much stiffer than a long drivers XXXX driver shaft. Scandium is the opposite of that. Jeff is the one who figured it all out and partnered with the original inventor to bring it back. Again hopefully he can get it back on the market. It's a great product. Let us know how it goes! I like the idea of the shafts as well if they can reduce vibration better than graphite. Ari - never ceases to impress. Full PXG bag is **** tempting! I was disappointed in the driver. 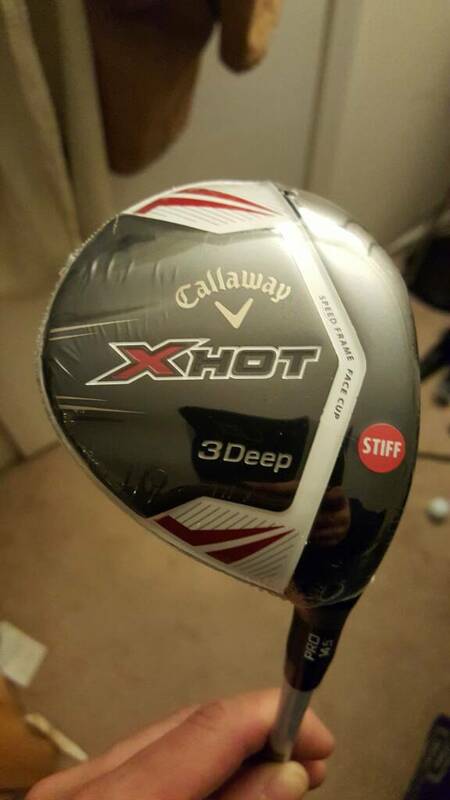 I tried it with just about every high end shaft and I couldn't get it close to the 816 DBD I've been gaming. 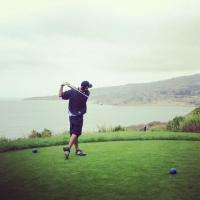 Loved the fairway woods. 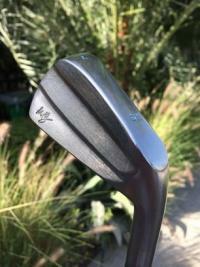 Interested in trying the new milled T wedge. 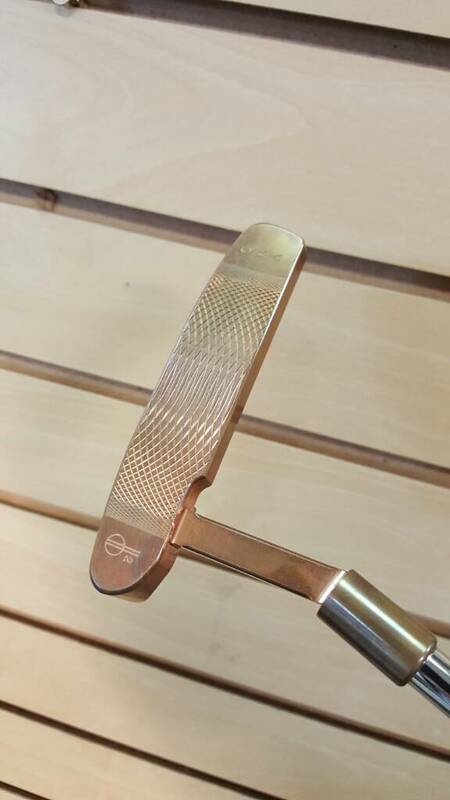 I love that putter, really clean. Is it solid copper, or copper plated? 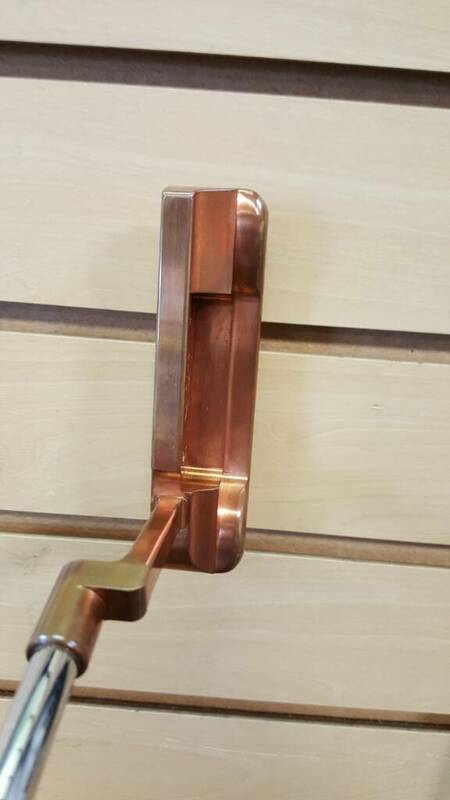 The head is solid copper and the hosel is steel copper plated. Picked this up recently. Couldnt help myself after watching 2 of my buddies who still play it bomb theirs. The PXG feel great. Soft and solid on pure shots and not much of a difference in feel on mishits. They do not quite give you the feel of a set of DW and mostly they lack feedback compared to a true forging. Harder to tell where on the face you hit them. They are locked in a battle with the T-MB right now for the bag spot. Quick update on the 0311Ts vs T-MB battle. I've had both sets out for 4 rounds where I hit shots with both clubs back to back on each approach shot. Ive also had a couple Trackman sessions with them. The battle is close, I have not made a final decision yet. Both sets are setup exactly the same. 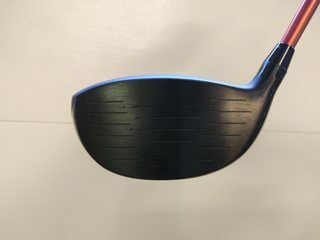 Same specs, same shaft, same measured loft and lie etc. 0311T setup more like a traditional players club or muscle back. They are shorter heel to toe and have a little less offset. T-MB toe shape fit my eye a little better, the 0311Ts are a little more sharp and square looking. 0311T feel better on good shots. 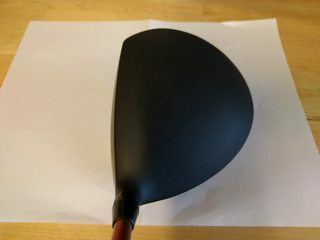 Very close to a traditional forged club. T-MB have more feedback. I can tell exactly where on the face I hit them. The 0311T feels pretty much the same no matter where on the face you hit them. 0311T is more workable though it's not a huge difference. T-MB is noticeably more forgiving especially on thin shots which is my main mishit. 0311T seems to give me a slightly tighter dispersion If you only look at my good shots. T-MB give me a little tighter dispersion if you count all my shots. 0311T seems to give me a little better left to right dispersion. T-MB seems to give me a little better front to back yardage dispersion. 0311T goes lower. T-MB goes higher and lands softer. Spin numbers are about the same. I also hit the normal 0311 with a different shaft. I found it to have the lowest trajectory of the 3 (shaft related maybe?). Forgiveness is about on par with the T-MB but I can't deal with the look. 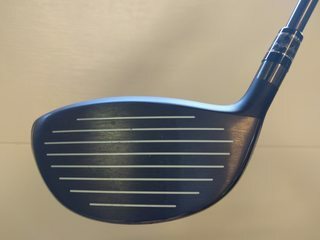 Very long heel to toe and very offset especially in the long irons. I'm not done testing and the weather hasnt exactly been ideal but above are my thoughts to this point. 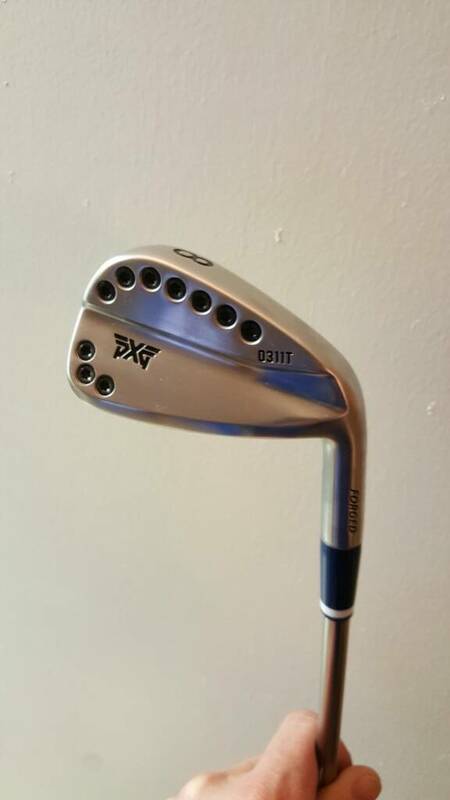 Thanks for the PXG to T-MB comparison! I've been looking for someone to do that. I had a set of T-MB's but got the wrong shafts. I need graphite now due to some old joint injuries. I have some Recoil 110's in some Pings on the way. So far, I've only tried the Steelfiber in 80. 95, 110, & 125 flexes. I've not tried the Accra iron shafts, but I have a CS1 60 that is an amazing shaft. I think the T-MB's with some graphite shafts might be the ticket for me, but I'm going to wait until I can get properly fit. really diggin your Srixon irons for sure! Custom BB&FC, Don White, 2 step muscle backs. Don White Scratch SB1's, Star stamps. Don White, Ryan Moore's Scratch AR's. 1/1 Byron Morgan Damascus Bombora. Golds Factory Private Stock no.1. I have a rogue i/o 60 S in my A Grind. It is definitely a lower launch lower spin head. I picked the 10.5 over the 9.5 because I was putting a lower launch shaft in it and I'm glad I did. Trajectory is pretty similar to my 9* DBD. Picked up this little guy too. 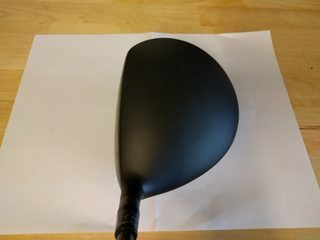 I'm a sucker for a smaller head driver. Figured it would probably end up in a closet but shockingly it gave me near perfect numbers on trackman. Enough so that it will get a chance to challenge the DBD for the bag spot. Doubt it will win as I've been hitting that DBD as good as any driver I've had in a long time. How is the M2 compared to some of the other drivers in your line up. 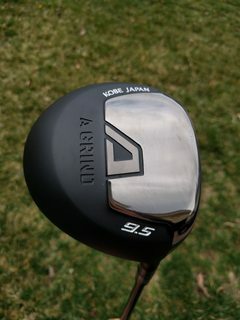 The Zero Kai is the best looking modern driver I've ever seen bar none. It's also one of the best feeling drivers I've ever hit. The trajectory is low and it's very low spin. I have an Attas 4U in it which is a little higher launch and spin. I wish it came in a little higher loft. I don't quite get the numbers with it that I do with the DBD or the A Grind so it's in the backup bag. I really like the A Grind Classic maybe I need to try the 440. Can you post a couple pics of the 440 and the Modart? Just reshafted it with the same Rogue io I have in the DBD. Going to TN and will get a few rounds in with it there. Haven't hit it on the course or on the monitor with the right shaft yet but with a different shaft I noticed that it's got very consistent ball speed across the face and mishits seem to stay low spin which is key for me. If it doesn't beat out the DBD I might stop looking for a while as the DBD has handily beat all contenders so far. not sure when you are heading down, but check your traffic, 75 has been closed just across the border due to rockslides. I'm not sure they have set a date for reopening. Otherwise the detours could take some time. I saw that. Crazy. Decided to fly just to avoid that issue. Modart MA01DS - Modart seems shallower face-height wise but has that similar shape to the cally where the back is more pointed/triangular shaped. A-Grind 440 - The backside is more rounded than the Cally or Modart which I like. Nice. 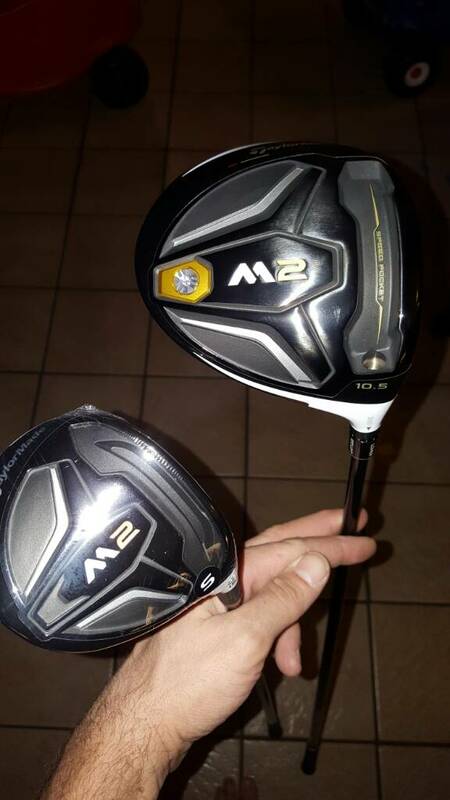 Interested to hear about the M2 driver vs. the other ones you listed in this thread. My course is supposed to opening up here Saturday. Can't wait.